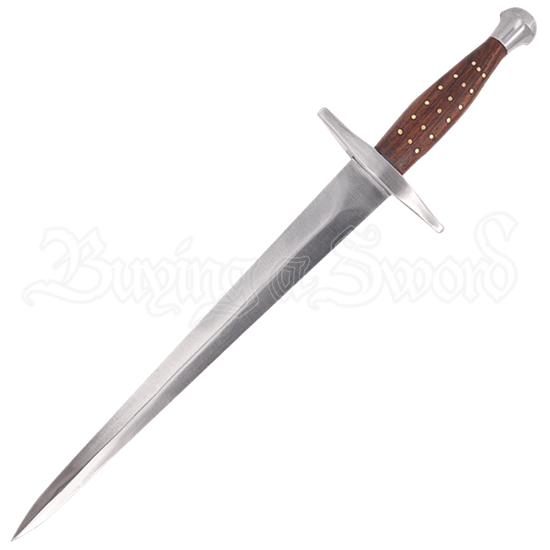 With the shine in its steel blade and the brass pins that decorate its wooden grip, the Gerik Decorative Dagger belongs in the hands of a distinguished knight or noble. Its age-old design marks it as a weapon fit for the Middle Ages. 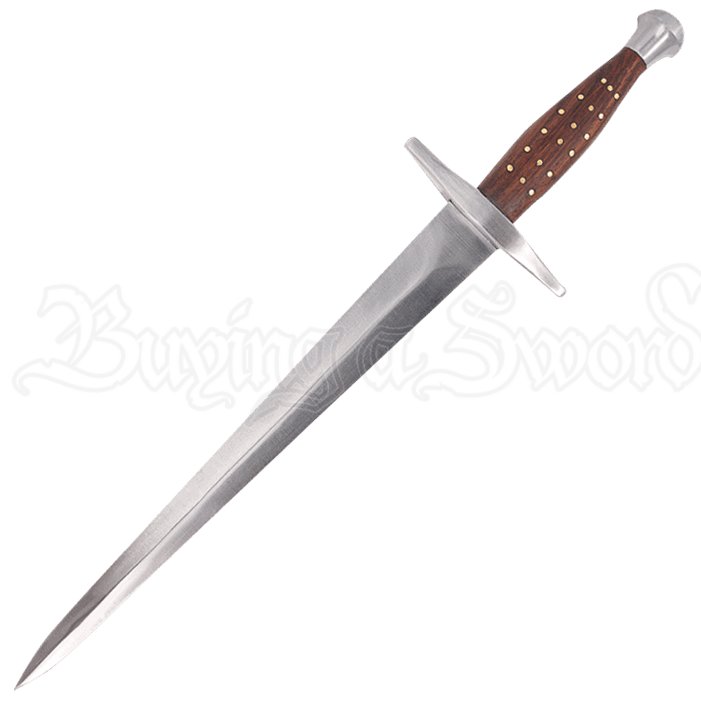 The double-edged blade is attached to a wooden handle with wide crossguard and rounded pommel. Made from Asian red poplar, the handle is held together with brass pins. While this blade does not belong on the battlefield, it is the perfect accessory to a historical role. The included black leather sheath features a belt loop for easy display when you are in costume.